First, let’s look at some of the historical context. 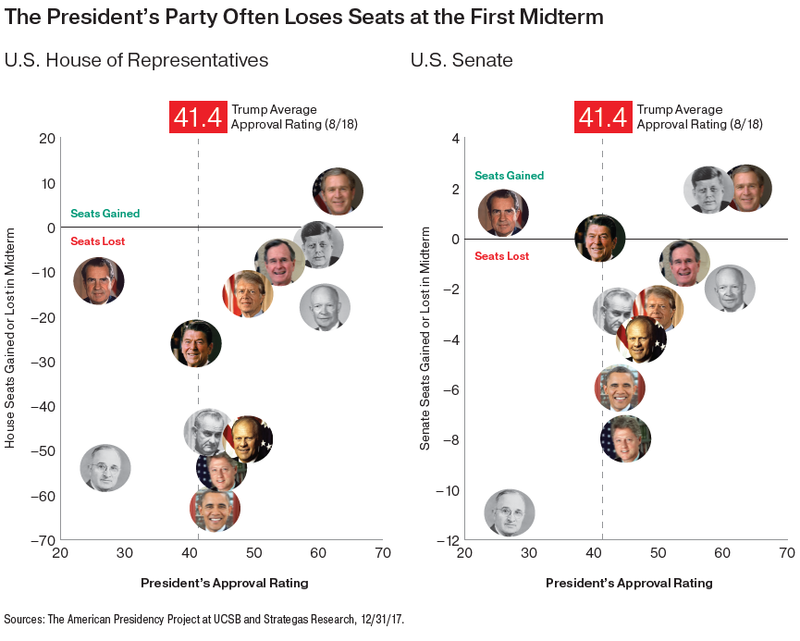 Rarely are midterm elections kind to the political party of the sitting president, especially in the first term’s election. Going back to Truman, only George W. Bush gained seats in the House of Representatives in the first term, and this was likely due to the exogenous shock of September 11th, and a consequent rallying around the president and the Republican party at a time when we were heading to war. 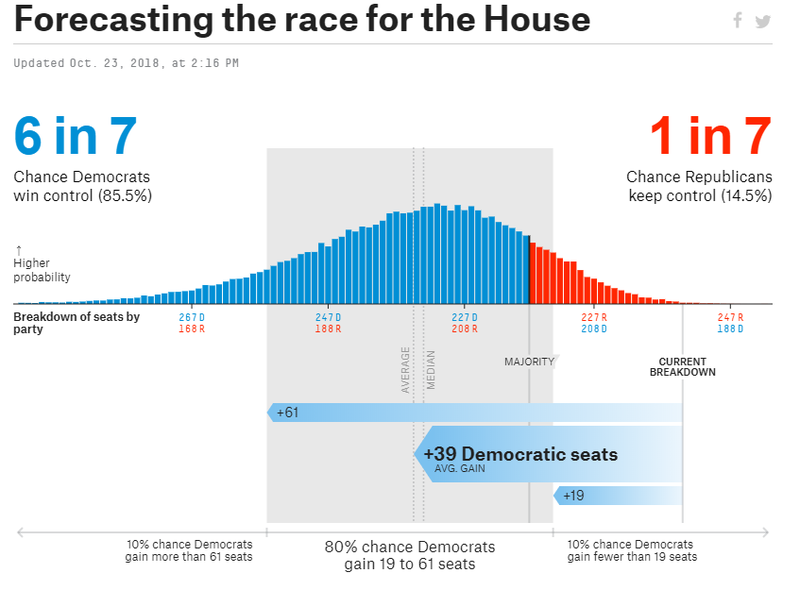 Turning to the 2018 midterms, the odds that Republicans maintain their majority in the Senate, according to the 538 politics model, stands at about 80%, while the odds are flipped in the house where Democrats have an 85% chance at retaking the majority there. In the House however, all 435 seats go up for election every two years, and the momentum this time around has clearly been on the side of the Democrats. 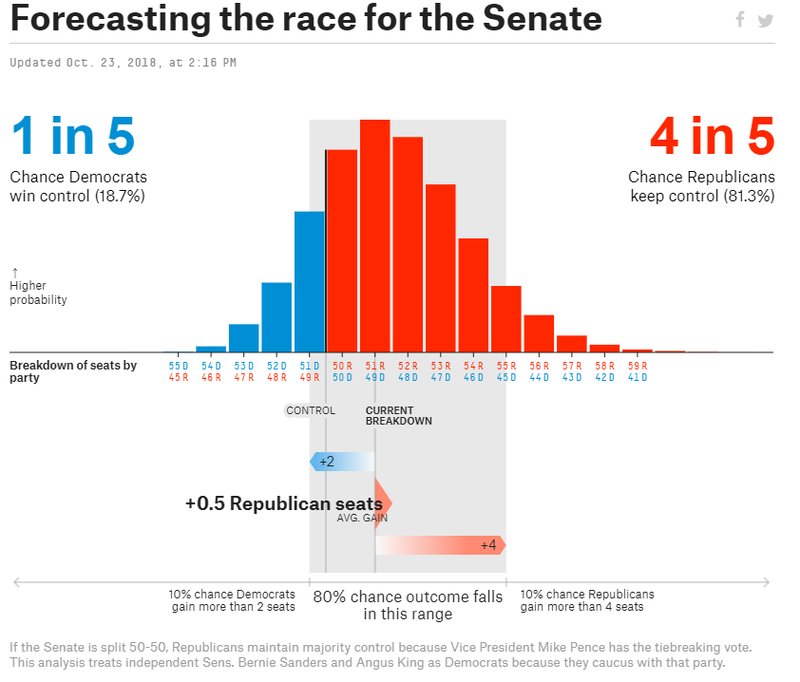 The most likely scenario is that Republicans will maintain or widen their majority in the Senate and the Democrats will win control of the House with a relatively slim majority. Obviously, this can all shake out differently on election day but the preponderance of data would point to this being the most probably outcome. With that in mind, we can turn our attention to what that could mean for the market and economy. The historical trends suggest a positive surge in the market in the year after a midterm election. 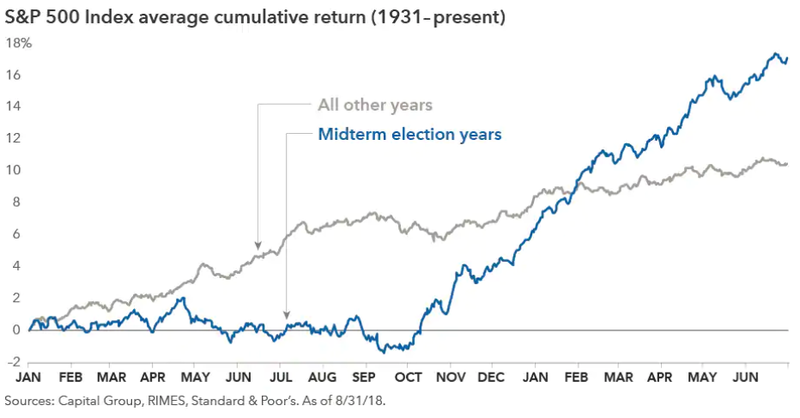 Midterm election years have shown a tendency for flat to negative returns leading up to the election, and a surge in performance afterwards, regardless of outcome. By the end of the second quarter of the following year, the midterm composite shows outperformance of more than 5%. This pattern has held up well this year. 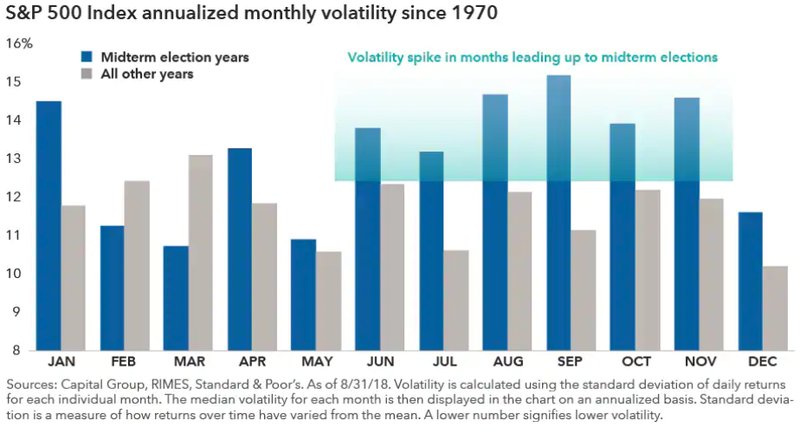 A significant uptick in volatility over the last several months is consistent with the historical trend for a midterm election year. On a more granular level, a Democratic House would likely put any full repeal of the Affordable Care Act on hold until at least 2020 and could perhaps result in a bipartisan (!) bill to stabilize the healthcare law; either way a likely net positive for the Healthcare sector. 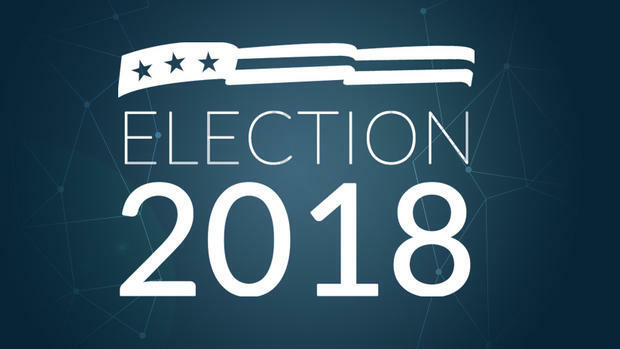 However, leading up to the 2020 presidential election, you can expect terms like ‘Medicare-for-all’ and ‘lower drug prices’ to be mentioned early and often, the headlines of which could cause volatility in that sector. Infrastructure investment appears to have broad support, and any increase in spending there could provide a tailwind to industrials and materials. One important area to keep an eye on post-election will be around tariffs, trade, and the effect on the dollar. Regardless of whether Democrats take the House, the president will have the power to act with relative unfettered discretion on trade and tariff policy, something which could draw even more of his attention should his domestic agenda become logjammed. This could have significant effects on the outlook for global growth. 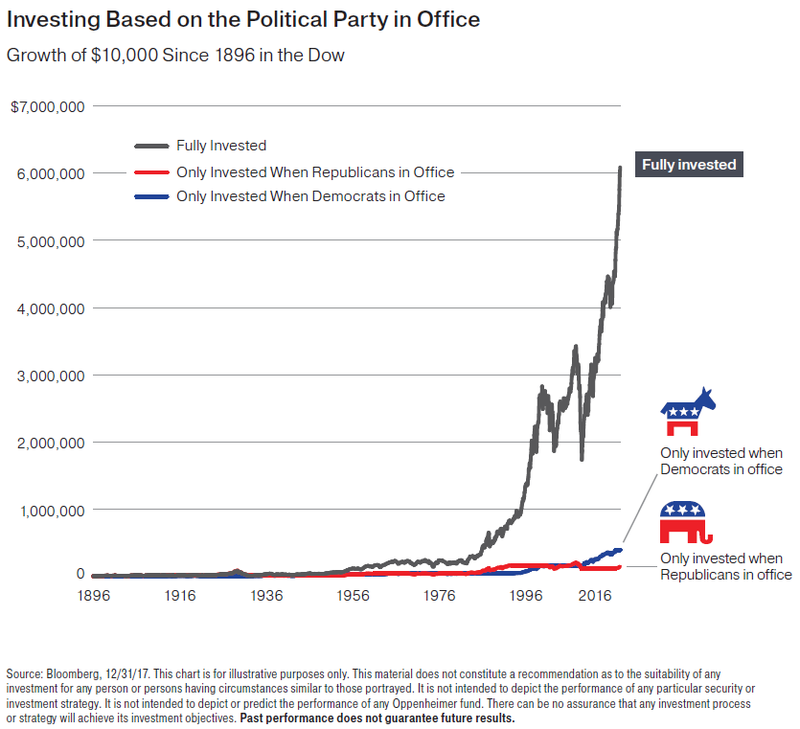 Despite all of this, history has generally offered us data to confirm that the current political climate should be a lightly-weighted factor when considering investment decisions. All performance referenced is historical and is no guarantee of future results. All indices are unmanaged and may not be invested in directly.